Inside. 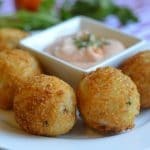 These extra crispy chorizo potato balls, known as papas rellenas in Mexico, are a perfect appetizer that you can enjoy with family and friends time and time again. 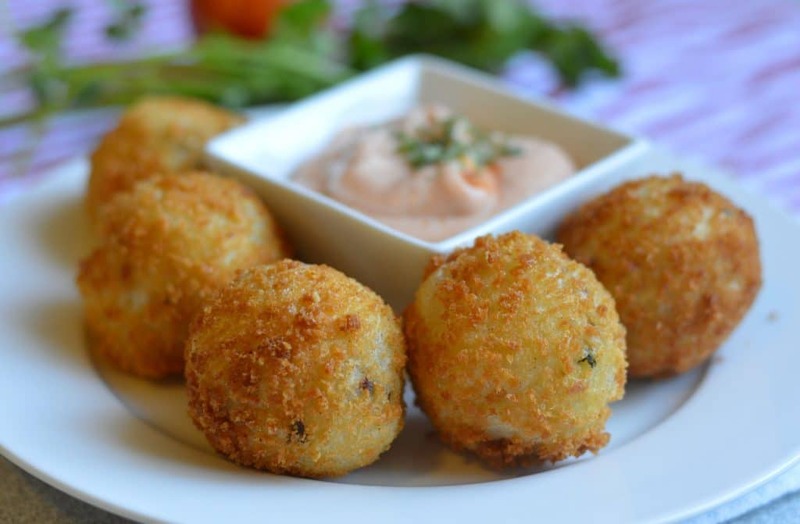 Papas rellenas is a delicious appetizer that I made and ate many times growing up in Mexico. There are many different ways that you can make them, but in general, they consist of mashed potatoes, stuffed with meat or cheese, and then fried to a golden brown color. 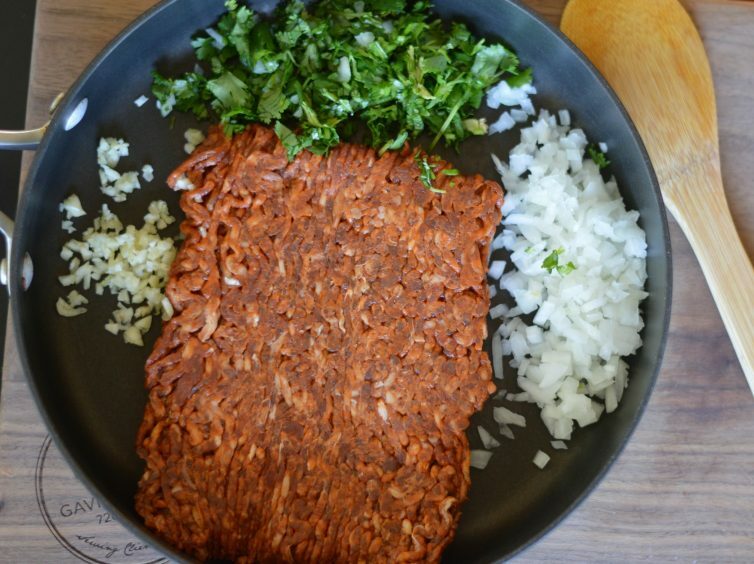 Today I am going to share one of my favorite ways to prepare this authentic Mexican recipe, which includes delicious chorizo. 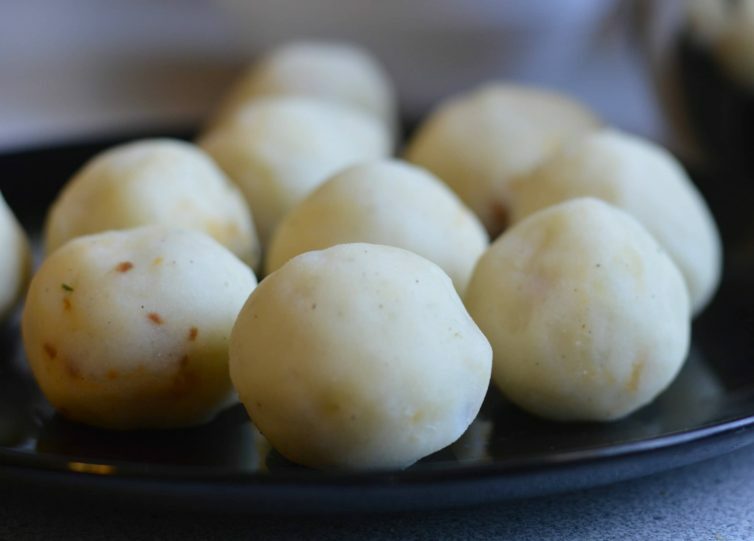 You can make these papas rellenas in 30 minutes or less, and to be honest, they probably won’t last much longer than that once they are finished! The process for making this delicious appetizer is pretty simple. Step 1: You start by washing and boiling the potatoes before mashing them and setting them aside. You will want them to be very creamy and smooth, so make sure you get out as many lumps as possible. Step 2: The next step is to cook the chorizo with onions, garlic, herbs, and spices. After it is done cooking, you will set that aside as well. Step 3: Once you have the mashed potatoes and chorizo ready, form a small ball with the mashed potatoes and make a small hole in the middle. Then you just have to fill the hole with chorizo and mozzarella cheese. Finish this step by covering it up with more mashed potato and rolling to form a smooth ball. Step 4: The last step is to coat the potato balls in an egg wash and then panko bread crumbs before frying them in plenty of oil. One thing that I really love about papas rellenas is that they are fun to eat and look good too. I really hope that you can enjoy this delicious recipe as much as I do. Don’t forget to take a few minutes to leave a review if you enjoyed them! 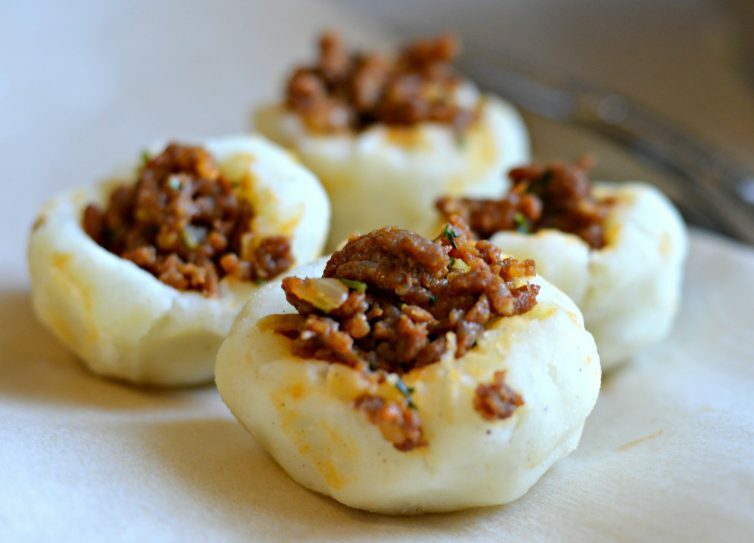 Check out these other great appetizers if you loved this recipe. Boil the potatoes until they are soft enough to mash. Mash the potatoes and set aside. Cook the chorizo together with the seasonings and set aside when cooked. 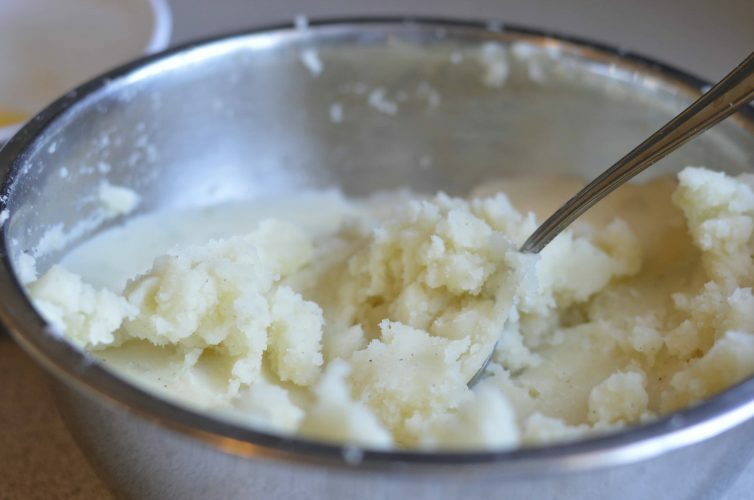 Take some of the mashed potatoes and create a small indentation in it. Fill with the chorizo mixture and the mozzarella cheese and cover with additional potatoes. Coat in an egg wash and then in the Panko bread crumbs. Fry in plenty of oil and pat try. « Create Your Own This.Is.Everything Video For a Chance to Win $10,000!